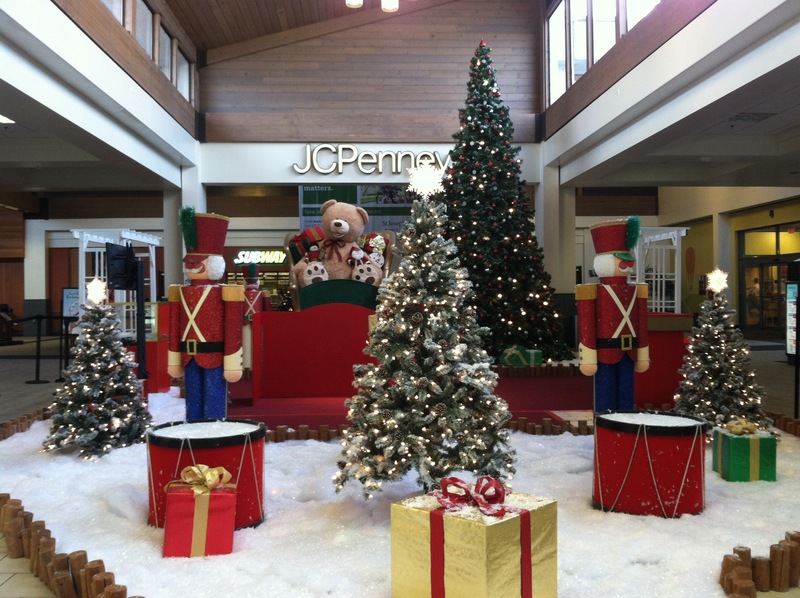 Decorating your store or office for the holidays offers plenty of great benefits. The sight of a big decorated Christmas tree helps uplift employee morale, attract potential customers, and give clients a positive first impression. If you want to spruce up your workplace in a spectacular way, consider these reasons for getting a large-sized Balsam Hill Flip Tree™. Investing in a high quality, lifelike artificial Christmas tree shows that you care about the happiness of your team. Feeling valued will often inspire people to perform better. We’ve carefully designed our Flip Trees to capture the natural beauty of real Christmas trees. Their stunning realism is achieved with our signature True Needle™ technology that uses actual branch cuttings to precisely mimic live evergreen foliage. Flip Trees come in various designs, sizes, and lighting options. From our namesake fir to the stately redwood, make your choice from among the most popular Christmas tree species in the world. 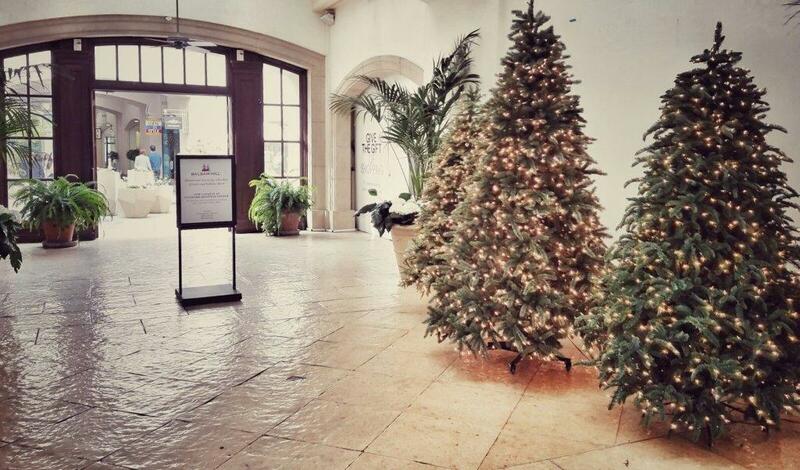 Our bigger Flip trees measure eight to ten feet in height, perfect for lobbies or rooms with higher ceilings. Whether you enjoy the warm glow of traditional clear lights, the energy-efficiency of LED bulbs, or the festive look of multi-colored lights, our Flip Trees are pre-lit in an assortment of lighting styles to complement the look of office interiors or business settings. Assembling a large Christmas tree can be a time-consuming and difficult task which can interfere with your personnel’s official activities. The Flip Tree changes all this. The tree’s primary section is the hinged trunk which is mounted on a rolling stand. All you need to do is flip up the main section and attach the lightweight top section. This innovation eliminates the hassle of lifting heavy parts, making set-up and storage fast and virtually effortless. For even more convenience, each Flip Tree incorporates our Easy Plug™ lighting system, where all light strings connect automatically within the tree trunk. 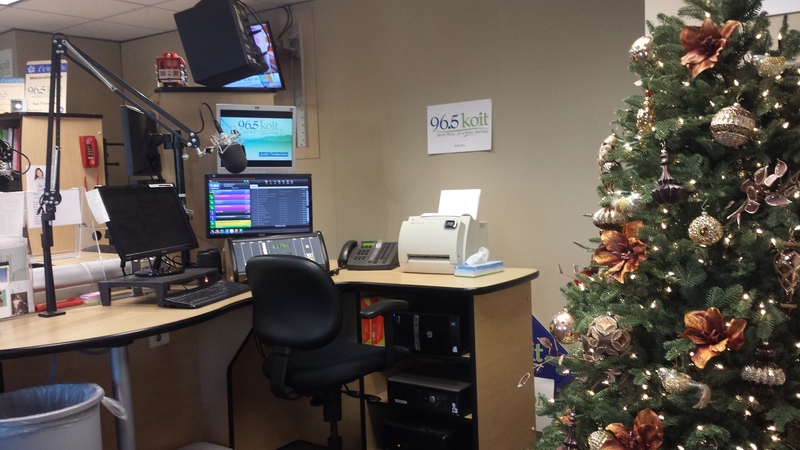 Once your tree is set up, simply plug it to a wall outlet to activate its lights. We currently have our large Flip Trees on sale through the Balsam Hill site at the most attractive prices of the season, with nine-foot Flip trees starting at $849 and up to $1000 off on taller trees. For quantity purchases, contact us for corporate discounts. Are you ready to deck your office halls? Call our expertly trained corporate sales team at 1-877-44-BALSAM and we’ll be happy to help you find the perfect Flip Tree for your business.